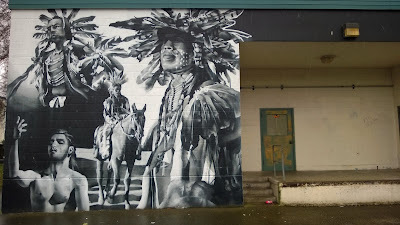 Description: Wilson-Pacific Elementary closed in 2000, yet according to this Seattle Time article, Morrison created the first murals there in 2001 and his last murals in 2007. A project is underway to build a new school on the site of Wilson-Pacific. 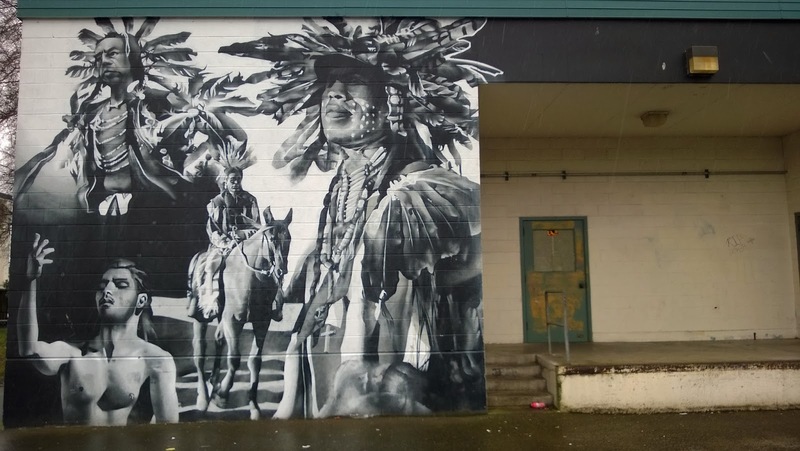 Seattle Times article reports that a rift between the artist and Seattle Public Schools is over, and the murals will be preserved. The biggest murals (25 feet high) feature Chief Seattle, Chief Joseph, and other Haida mythical figures. 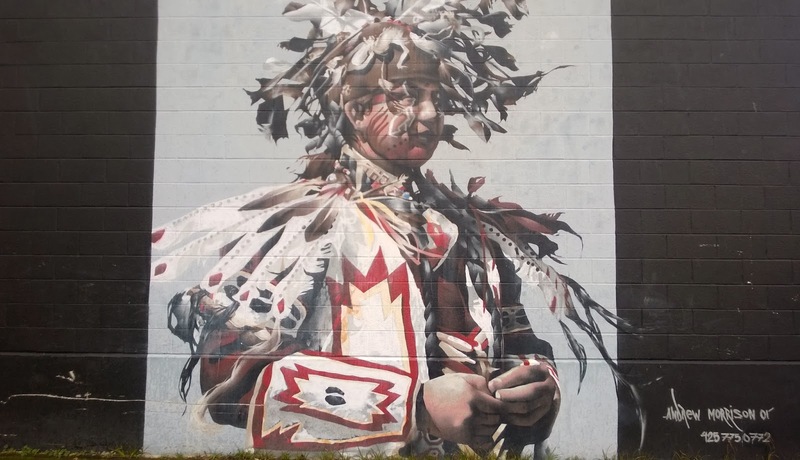 The size and impact of these murals is hard to appreciate from photos. You have to stand in front of them to get the full effect. They are amazing. 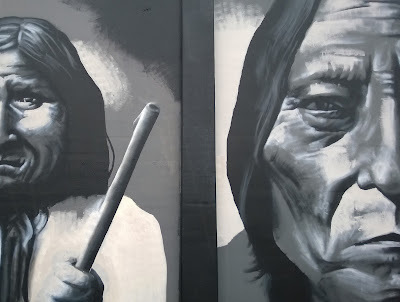 More amazing is to see the real life inspirations for each mural side-by-side at Andrew Morrison’s web site. Thanks for posting this. 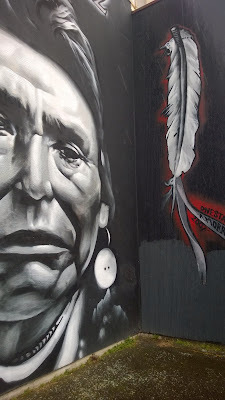 I discovered the murals just driving around one day, and you're right--they have an extraordinary impact.